July 3, 2014, 11:02 a.m. The paper’s cut back on print and bet on digital. What sort of a news operation will Mark Katches be taking over? 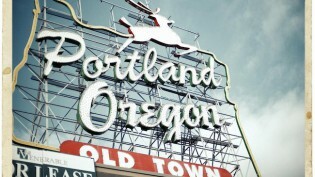 By Ken Doctor @kdoctor July 3, 2014, 11:02 a.m.
It’s tough to find a place with more news change than Portland, Oregon. At the center of that change is the new Oregonian. Like New Orleans, Cleveland, Syracuse, and most other Advance Publications dailies, it’s been through shocking change as it has lunged in its digital-first future (“The newsonomics of Advance’s advancing strategy and its Achilles heel”). That’s meant cutting back home delivery to three days a week, publishing a skinny newsstand edition the rest of the week, letting go of dozens of veteran editorial staff, and moving to a compact print format (video here). That’s a whirlwind of change. Now into that rearranged topography steps Mark Katches, named Monday as editor of The Oregonian. It’s a surprising choice to many in the trade. Katches is a highly respected investigative editor, with two Pulitzers on his resume and a further five nominations on projects on which he’s been involved. He’s been out of the daily trade for five years — having served three years at the Milwaukee Journal Sentinel and 10 years before that at the Orange County Register. For the past half-decade, he’s been a key leader of the pioneering Center for Investigative Reporting, based in the Bay Area, innovating strongly in real multimedia public service journalism. He’s broken lots of stale boundaries in the old business, developing new modern ways of reporting the news (“The newsonomics of a single investigative story”), as CIR has used everything from deep databases to coloring books to do and distribute its work. Katches leaves an organization that’s been at the forefront of high-value journalism, partnering with the likes of Frontline, The Washington Post, NPR, and Marketplace. The CIR (merged with California Watch) model: collaborative, partnered, data-driven, addressing-public-ills-with-solutions, accessible multimedia journalism. What does he plan to bring from his experience? “We’re going to be aggressive about breaking news and watchdog reporting,” he told me Wednesday, flying back to the Bay Area after being introduced to the newsroom Wednesday afternoon. “And we’re going to figure out more cool, creative ways to engage with readers on topics they care most about.” His task starts on July 21. He comes to a paper depleted, transforming, and fighting to maintain its longtime No. 1 presence in the new Oregon news landscape. The Big O has won six Pulitzers since 1999, but only one since 2007, last year’s for editorial writing, and it’s been plainly wounded by its fast-twitch flipping of the print switch. Its staff has been radically changed over the last year. As many as four dozen journalists left in the cuts accompanying the print cutbacks. Some number — stronger in youth and internship — have been hired back into cut slots. Among recent hires, encouragingly, are two well-regarded journalists: environmental investigative reporter (and Voice of San Diego alum) Rob Davis and state government reporter Jeff Manning, who returned to the paper. Former editor Peter Bhatia, who resigned in March and is teaching at Arizona State University, focusing on News21, had made a point of maintaining a core reporting corps of 90. It’s unclear if that number holds. I recently spent a couple of days in Portland, talking to major players there. It’s remarkable how much the news field there is morphing — in part because of the perceived vacuum offered up by The Oregonian’s cuts. OPB, Oregon Public Broadcasting, is a hard-charger among mid-sized public radio/public media stations, itself doing the kind of multi-platform work in which CIR has excelled. The radio/digital news operation, an outgrowth of its joint ownership of both public radio and public TV, is now a player in local and statewide news — previously an area The Oregonian, long a statewide paper, had to itself. Its news staff totals about 40, with 10 devoted to digital. In certain areas, like its EarthFix Northwest regional environmental coverage, its staff of seven full-timers easily outnumbers the competition. In fact, it is in regional collaboration that the operation serves as a national model, one recently the subject of a Corporation for Public Broadcasting board meeting in Portland, at which I spoke. OPB leads both the radio-oriented Northwest News Network and the digital-oriented Northwest News Partnership. Portland, a metro area of 2.3 million, has no full-time AM all-news radio station, offering up another advantage to OPB. GoLocalPDX.com will launch the third GoLocal outpost later this summer, with a news staff of seven and 10 in total. It will announce the staff by mid-July. In addition, the company has signed up 46 local weekly contributors. Publisher Josh Fenton (“The newsonomics of the for-profit move in local online news”) just hired Rick Daniels, former president of The Boston Globe and chief operating officer of GateHouse, as COO, signaling an intent to grow more media partnerships and build out the business generally. The Portland Tribune, whose owner Pamplin Media Group now runs 25 local titles overall, recently doubled its frequency, adding a Tuesday addition to its Thursday one. Willamette Week, the Pulitzer-winning alt-weekly, is expanding its mobile presence and seizing on print and digital city guide opportunities. It has increased its free weekly printing order, and ramped up content offerings, especially with blogs. Against that emboldened competition, The Oregonian is regrouping — and Katches’ appointment is both a real and symbolic point in that strategy. How is the regrouping going? It’s hard to say given the private company’s very selective release of favorable data. Its digital reading numbers are up impressively, as we suspected they might, given the staunch of print. 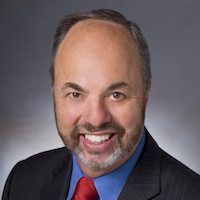 Advance Local president Randy Siegel recently touted The Oregonian’s OregonLive as a leader of the Advance pack, at 40 percent growth in pageviews. We don’t know its digital ad revenue growth, but can peg in at somewhere between a third and a half of the audience growth. Almost alone among U.S. chains, Advance’s newspapers are still free online, pumping pageviews but receiving no all-access or digital-only reader revenue. It is, of course, in print that the loss shows. On Sunday, the paper is now under 200,000 for paid copies. It hits a high of 170,000 on full-day weekday editions. For an historical view, consider what those numbers were in 1997: daily circulation of 360,000, 450,000 on Sunday. In early April, it began printing its new compact edition, following up on the home delivery/printing cuts that took effect Oct. 1. On full days (Wednesday, Friday, Sunday), the new stapled paper makes a substantial impression. On Mondays, Tuesdays, and Thursday, it can be a remarkably skimpy 12 to 16 pages in total, almost embarrassing itself as an afterthought of throwaway print. Saturday is a “bonus” delivery day, heavy on sports and ads. We can figure that profit is probably up, but not by a lot. Print volume loss is greater than projected, eating up circulation revenue. On the change and cultural fronts, The Oregonian has turned itself more into a campaign-planning, consultative-selling operation. That’s the marketing services push we’ve seen across the U.S. (“The newsonomics of selling Main Street”), and it is beginning to pay dividends in digital ad income. In the newsroom, there’s necessarily a big change in digital-first thinking, and it’s very much a change in progress. It’s been accused of setting up page-spinning daily output/blog quotas for its staff. No doubt that’s been a double-edged sword. There is a greater news intensity, and The Oregonian is on top of areas it wasn’t on top of before. Meanwhile, readers say that in other areas, coverage is noticeably decreased, and sometimes just missing. Again, it’s not a one-for-one replacement of news reporting and analysis. Less can be less. What can’t be easily measured: good will, community clout, and agenda-setting abilities. By all those measures, The Oregonian is diminished. For decades, it was the statewide presence, the straw that stirred the drink in a state of two million and more (and now almost 4 million). Yes, the rest of the state’s newspapers have grown smaller, and less impactful, as well over the last decade as well. 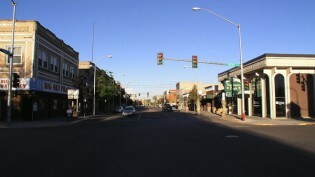 Yet it is The Oregonian’s seeming shrinking from the public square that stands out the most. It is also what makes it seem more vulnerable to the increasing Portland competition. That competition is real and indicative of a future we seem to be moving into in many U.S. cities: the singular power of a daily newspaper is decreased, and the less impactful power of a number of smaller publications grows. It’s not a one-for-one replacement, and its ability to hold powerful interests accountable is uncertain. Of course, there’s one big journalistic question: What now is The Oregonian’s commitment to longer-form enterprise reporting? Katches’ appointment is meant, in part, to address that, and to rev up the slimmed-down Oregonian. The new editor should hit the ground running. Coincidentally, CIR just completed a worthy project — “Averting its eyes, Alabama lets prisons sink into despair” — working as a consultant and collaborator with Advance’s Alabama Media Group. “Journalism with people, not just to people,” is the description of the work provided by K.A. Turner, director of opinion and commentary for Alabama Media Group. Look for that kind of partnering between CIR and The Oregonian, going forward. The news operation needs all the smart partnering it can muster. Yet, for Katches, the newsroom is what it is. As a newcomer, he can see it for what it is today, and build however possible. That’s the thing about new people coming into old organizations: Jeff Bezos didn’t look at his Washington Post purchase as buying a newspaper that had lost half its circulation. He saw a top regional brand with ongoing relationships with several hundred thousand readers and advertisers. For Katches, one key question will be his ability to hire. One secret of CIR’s success has been Rosenthal’s and Katches’ ability to pluck the best free agents out of its thick stack of resumes, mixing and matching skills and personalities. In fact, Katches’ network has been responsible for more than half of CIR’s hires, says Rosenthal. 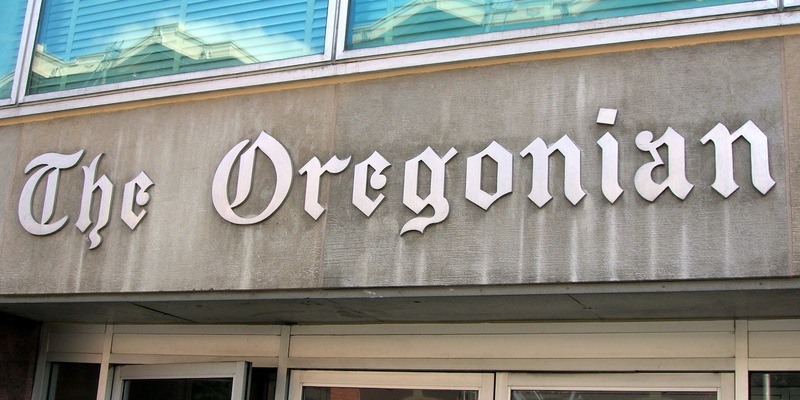 Will The Oregonian, which has recently done its own hiring of younger journalists and interns, in part to replace higher-paid journalists bought out or laid off, give him enough leeway to make an impact with new blood? That’s one of the interesting things about the new Advance model. It is religiously digital — its orthodoxy, I still believe, overzealous. Yet it does provide some room, within Advance’s management often-prescriptive mandates, for real positive change. With Oregonian publisher Chris Anderson (a molder of the old Orange County Register’s growth as both editor and publisher) and Mark Katches teaming up, this will now become a new, very watchable experiment in multimedia journalism. Photo of Oregonian offices by Josh Bancroft used under a Creative Commons license. POSTED July 3, 2014, 11:02 a.m. Doctor, Ken. 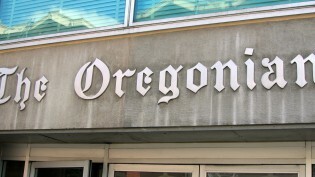 "The newsonomics of The Oregonian’s new editor’s challenge." Nieman Journalism Lab. Nieman Foundation for Journalism at Harvard, 3 Jul. 2014. Web. 25 Apr. 2019. Doctor, Ken. "The newsonomics of The Oregonian’s new editor’s challenge." Nieman Journalism Lab. Last modified July 3, 2014. Accessed April 25, 2019. https://www.niemanlab.org/2014/07/the-newsonomics-of-the-oregonians-new-editors-challenge/.